Click the image for information about local pickleball options in and around Ventura County. In 1969, George Sappenfield, Recreation Supervisor for Conejo Recreation and Park District, introduced a new game by conducting the first official Disc Golf Tournament. He contacted Wham-O Manufacturing and asked for help with the event. Wham-O supplied frisbees for throwing and hula hoops for use as targets. And with so Disc Golf was born right here in the Conejo Valley! Since then, Disc Golf has exploded with its own professional organization of nearly 40,000 members, tournaments worldwide, and courses across the world. The Conejo Recreation and Park District re-established the sport in the Conejo Valley on May 22, 2010 with the grand opening of the 18 hole Rabbit Flats Disc Golf Course, located on 9 acres at Thousand Oaks Community Park. There are 9 baskets for beginners and 18 for more advanced players, playing from 9 tees through some challenging fairways. Rabbit Flats Disc Golf Course is located at the far west end of the park behind the softball fields at 2525 N. Moorpark Road, Thousand Oaks. For more information, call 805.495.6471 or visit www.crpd.org/programs/sports/disc_golf.asp. 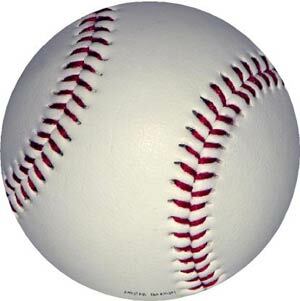 Click the baseball for a list of batting cages in and around Ventura County. Local clubs include the Bulldogs (Thousand Oaks, Westlake, Newbury Park), Coyotes (Moorpark), Roadrunners (Ventura, Camarillo, Somis), and Eagles (Simi Valley, SF Valley and West Los Angeles). Visit www.fieldhockeyfederation.com for more information. CLUBWAKA® is the new name for the World Adult Kickball Association® - the preeminent adult kickball organization and the world authority and governing body of kickball. CLUBWAKA kickball is real fun for real people. The average CLUBWAKA Kickball player is a young professional (21+). Leagues are co-ed and play is like the elementary school game you remember – the one with the big red playground ball. It's an easy game that is open to all skill levels. League play dates vary. Visit www.kickball.com for links to all the various leagues and schedules. Or more specifically to Ventura County, www.kickball.com/ventura. Pacific Coast Baseball League was established in 1993 and currently has over 120 teams and 2.500 players in the Southland. Spring/Summer pre-season starts in February. Fall season is September to November. There are four divisions, all for players 18 years and older. The National Division is for those with college or higher experience (including pros/ex-pros). The American Division is for those with high school varsity experience. The Federal Division is for those who have less experience but enjoy hardball. Unfortunately for me they don't have a Hacks Division for people like me who are horrible at baseball and would prefer to watch and drink beer! Visit www.pcbl.org or call 661.296.7975 for more information.